Experience the Lifestyle without the Pricetag! Larson, 100 years old this year and built in the USA! Amazing value for money with one of the world’s leading boat builders. Limited lifetime warranty on the hull, transferable to one other owner. 21 degree dead rise . Out performs all other comparable bow riders in choppy conditions. Perfectly suited to bays, open waters, lakes and rivers. Australian dealer network. Factory backed. Not a grey import. These boats are unbelievable to drive. They handle like a Porsche 911 on water. Flat and fast through the corners with an exhilarating ride. Available in fishing boats, bow rider and cabrio configurations, ensuring there is the perfect boat for you. 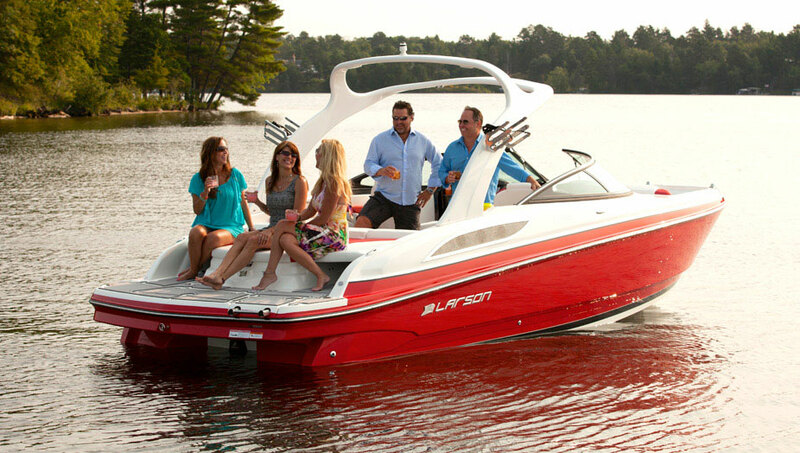 For more information download the Larson Boats catalogue or visit Larson Boats website to view the Current Range.